How Location-Based Mobile Apps Impacting the traveling industry? Tourism and Travelling is one of the greatest business in itself and many jobs are also in the specific field. The technologies are growing day by day and spreading over the peeps like a fire in the forest. With the help of technologies, the travel industry is in the hand of an audience. The mobile app development industry is one of the hurdles removing GOD for the peeps. And the best part is to make ease of access and do have user-friendly interactions with the app and easy in use. The mobile app developing company has been integrated into the traveling industry. There are so many apps which are specially developed for making Travelling Terms user-friendly, and customers would like and appreciate the hard work of app developers. Why is Location-Based Mobile App? The traveling apps are Location-Based apps because it keeps every location here are you and what you want, just search out it for you, the facilities of booking rooms online in authorized hotels, ordering food online from cafes, restaurants, etc., having the map routes by just entering the destination from your location, booking Cabs online for the short trips and using to travel in it, booking the tickets for transports (Bus, Train, Airplane), booking the tickets for movie etc. by just sitting at home. A lot of tourists book their transport for traveling and thinking about what would be the climate if they travel now and by the weather app, it is helpful to know about the climate that one should travel to or not. So to prevent these things the climate forecast is used in the app. A major part of travel app development lies in social media integration. Real-time social feeds like Twitter and Facebook will let users interact with their friends and following by sharing snapshots, experiences and also letting them know where they are. If one is new to the city or one is going to tour or new trip he can have worry less journey to places easily he can track the way out and easily he can find new places for enjoying, eat and travel more and more. The GPS tracking apps are much beneficial for these activities as well. Only the thing peeps have to know that which app will help with them, they have to install it and then register themselves on it for further things, then they just need to look out the things what they need and according to their need they have to just see and click and pay that’s it. These things have made the plastic-cash transactions, can track their services too, the promo codes are available for first users, all these things are made or create in the faith of customers. With the help of mobile apps, the travel industry has the flexibility to fulfill the customer growing demands they are moving online to make search and buy the services in terms of travel products. So, basically, it is time-saving for peeps who are surrounded with very busy schedules and do not have time to spend on offline activities, because it’s too much time-consuming. The apps work best in location-based, with the help of GPS (Global Positioning System) tracker, Geofencing with the RFID technology. Transactions are not on paper. Tickets or bills are Digitalized. Under one roof variant varieties are analyzed and according to the services are purchased. The integration of these two industries is much and better together for the making in digital India. The users are going cashless, using plastic cash, having bills online which no one can decline, and the biggest part is that making people aware of their services well informed about what they are consuming and can avoid the fake services, with pure transparency. So, the generations are moving ahead in real-life without any pain and performing the duties of their beloved ones without time wasting. And the industries are earning money and customers too with delivering the best services at reasonable prices. 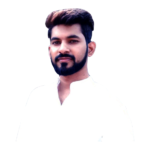 Vivek kumar is a Digital Marketing Executive and a content writer by passion, has B.Tech in Computer Sciences from K.N Modi Foundation, And enjoys exploring the latest technologies and taking on new challenges. He focuses on actionable and unique ideas that can be used to grow company business and make a real difference for customers. How to Switch Multi-Currency Payment Mode In Your Online Store?